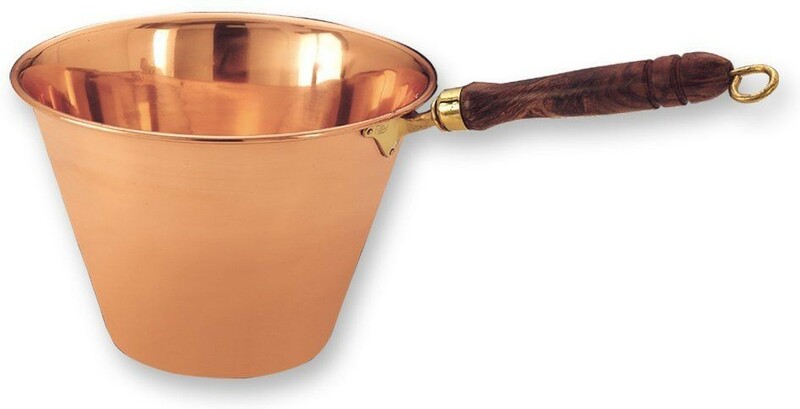 LionsDeal > Cookware > Pots & Pans >< Copper Cookware > Old Dutch International 760 Solid Copper Polenta Pan with Wood Handle, 5 Qt. Old Dutch International 760 Solid Copper Polenta Pan with Wood Handle, 5 Qt. 19" x 10 1/4" x 10"